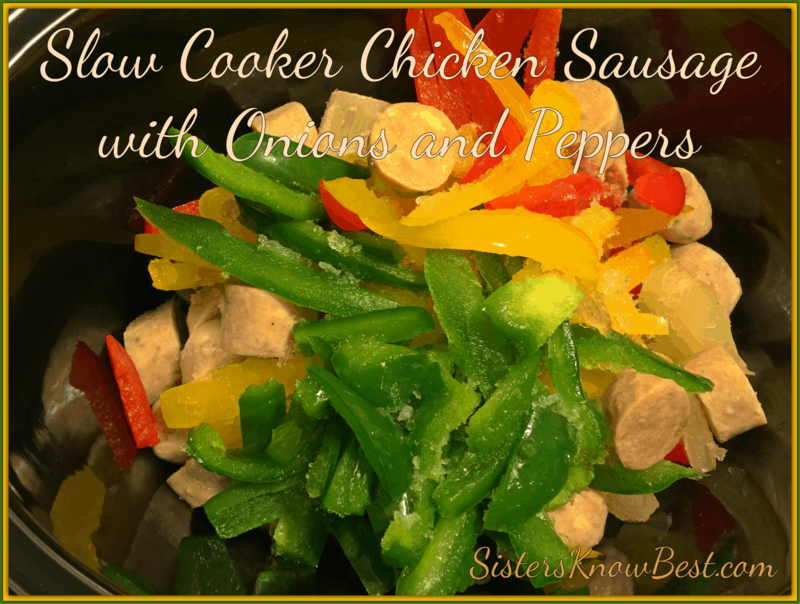 This slow cooker chicken sausage recipe is extremely healthy because it uses chicken sausage and peppers and onions. Very few ingredients but it produces a wonderful combination of flavors in your mouth. Bill said we definitely keep this one on the Crockpot Freezer Meal Series! Cut up all ingredients and add to a gallon freezer bag. Place ingredients in slow cooker crockpot. Add 1/2 -1 cup chicken or beef broth to crockpot. Serve on rice or sub roll. Bill and I had ours completely different and we both loved it! He had his on a sub roll with ketchup, mustard, relish (he’s the condiment king). I had mine with mustard and green tobasco to make it a little spicy. Do you prefer sweet or spicy? 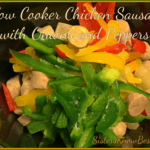 Make sure to check out our other crockpot freezer meals from our Crockpot Freezer Meal Series.